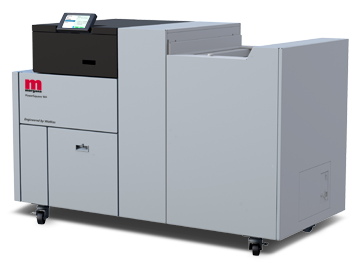 The all NEW Watkiss PowerSquare™ 160 meets the needs of mid to high volume printers, capable of producing 8.5” x 11” landscape books. The machine is configured with one or two precise and reliable vacuum feeders, each with a 6” capacity. OMR is standard, with optional barcode readers. Finishing your print jobs offline gives flexibility in your workflow and handles the output from multiple digital engines. 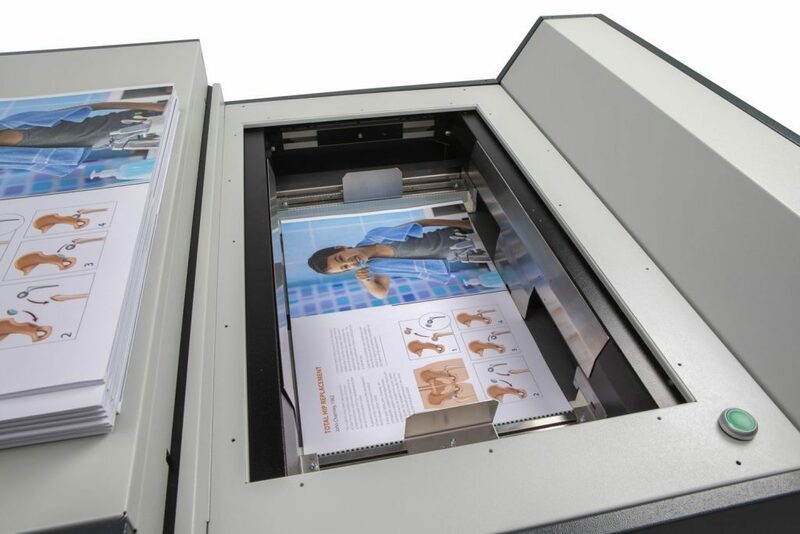 The PowerSquare™ 160 is a modular open-architecture system that is flexible and versatile: it lets you produce booklets from a wide range of sheet sizes and materials, including A4 landscape format and heavy cover stocks. With optional accessories for full bleed trimming and book stacking, enabling you to increase productivity and efficiency. Hand feeding is often the most practical solution for low volume digital printed jobs, where ease of set-up and flexible media sizes are important. Book quality is never a compromise with the fully featured Hand feed PowerSquare™ 160. This model is designed with an easy upgrade path to add feeders or operate inline to your printer. 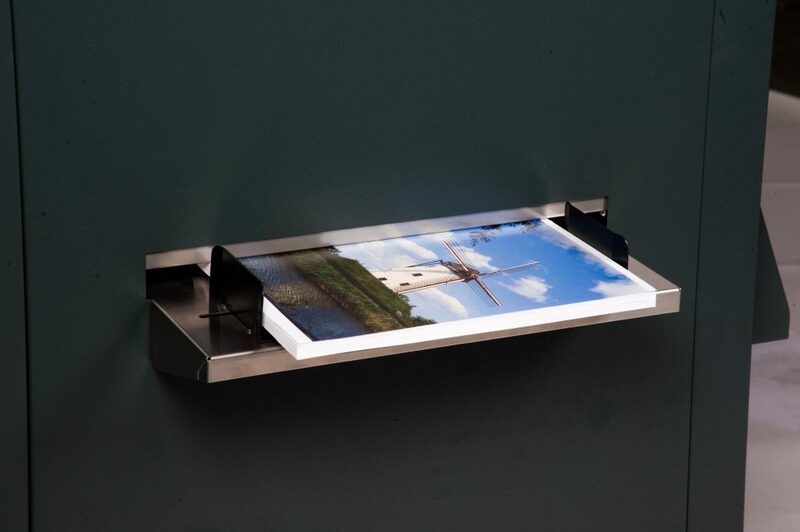 200 x 200 mm / 7.87" x 7.87"
370 x 620 mm / 14.5" x 24.4"